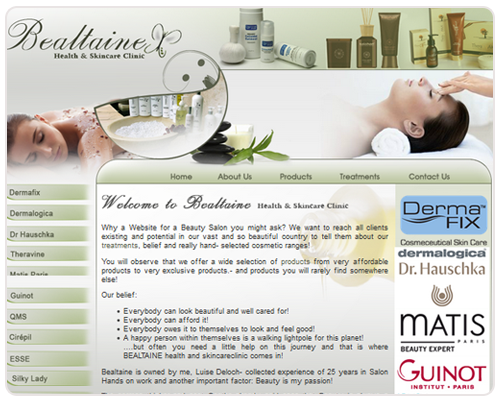 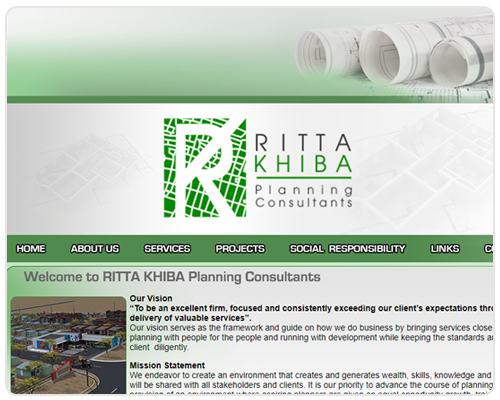 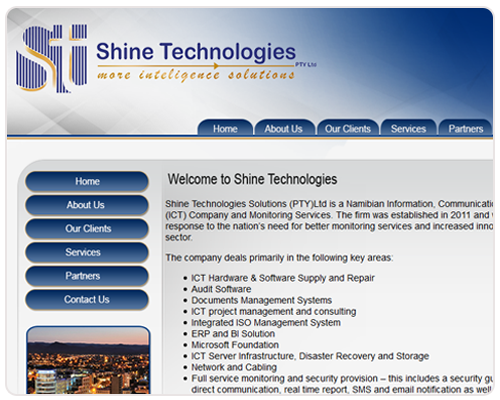 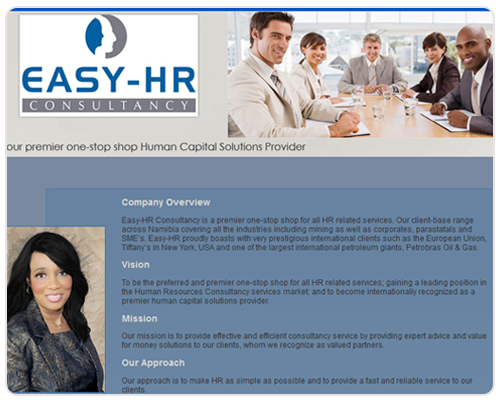 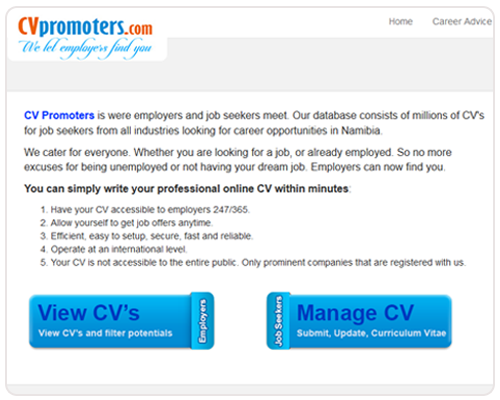 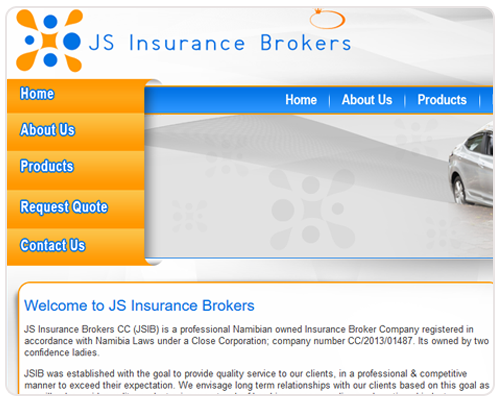 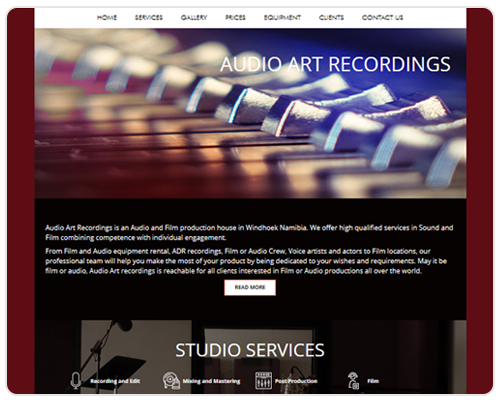 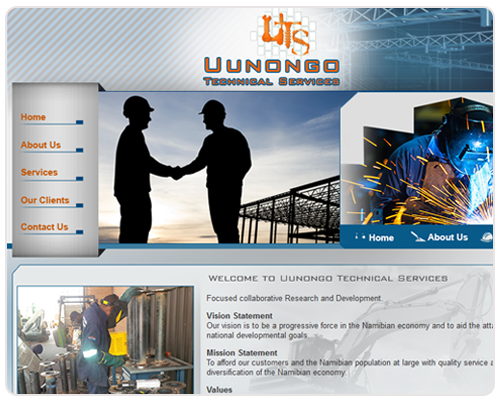 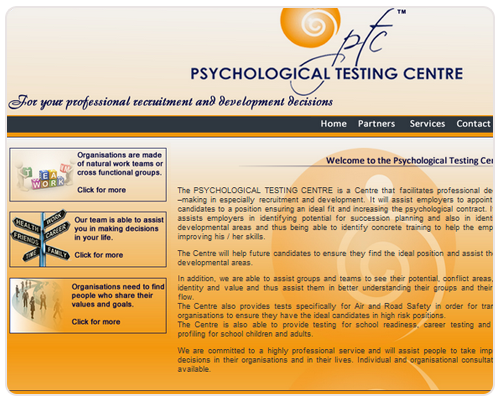 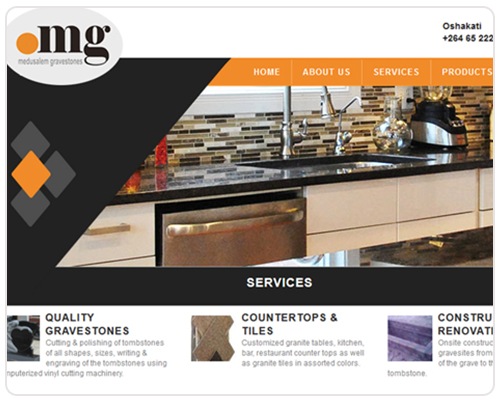 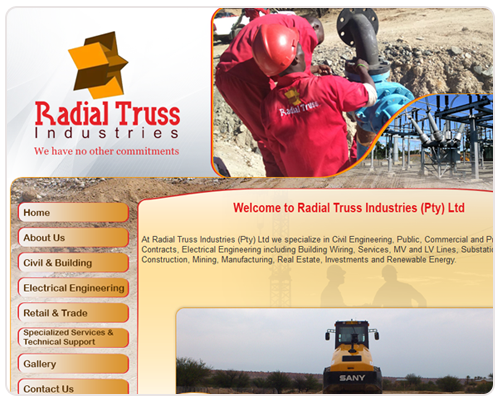 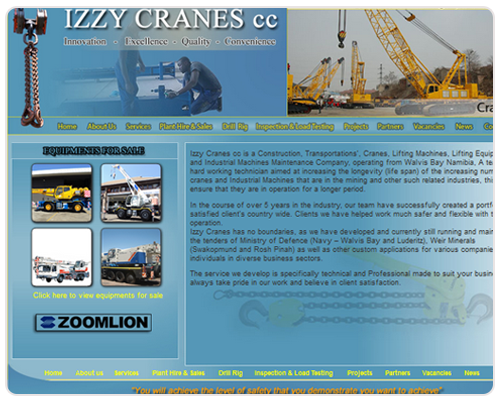 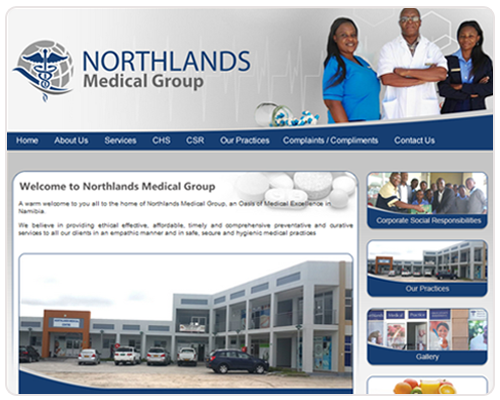 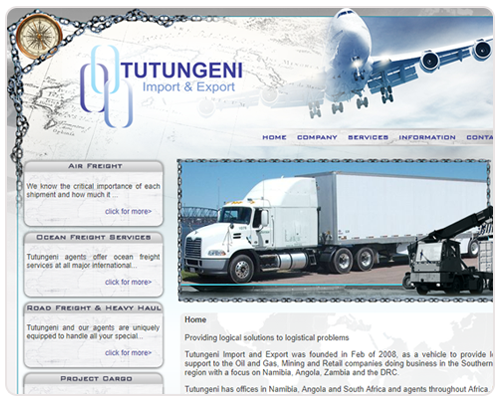 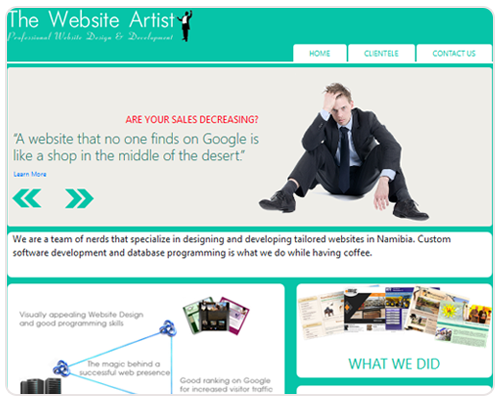 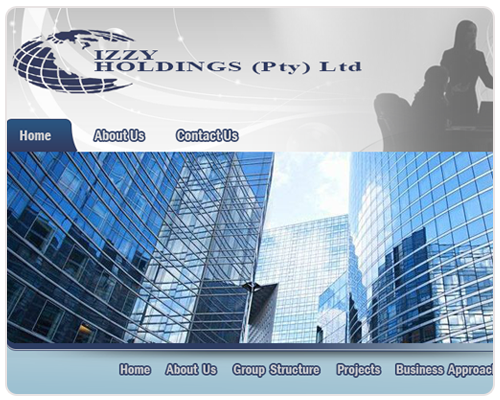 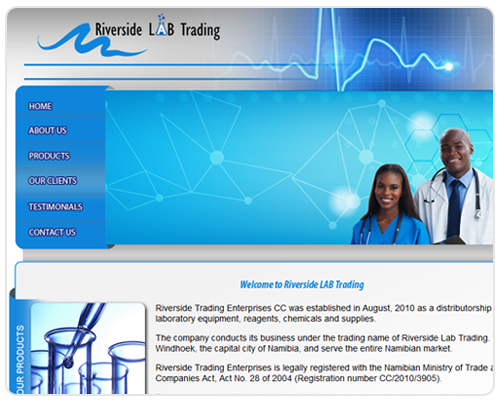 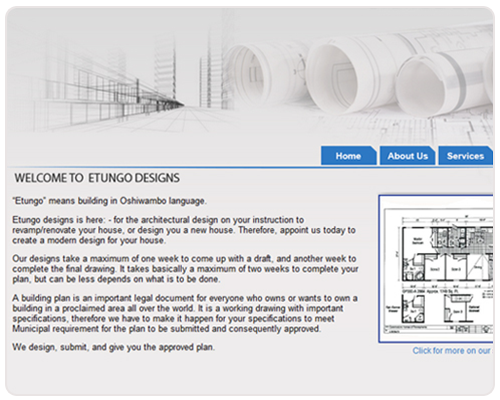 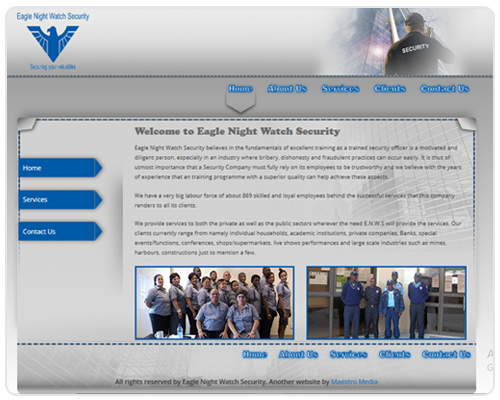 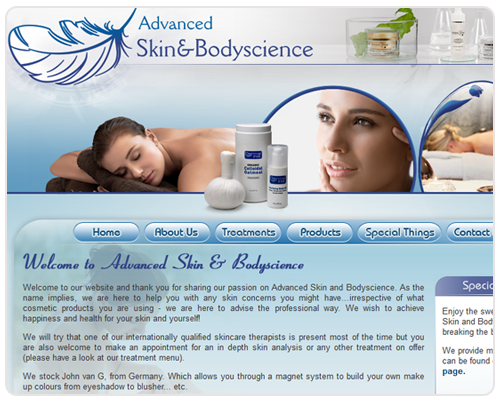 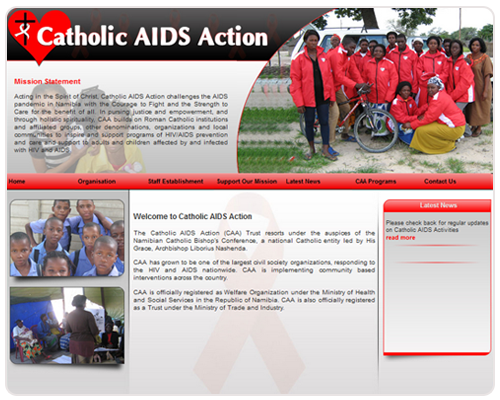 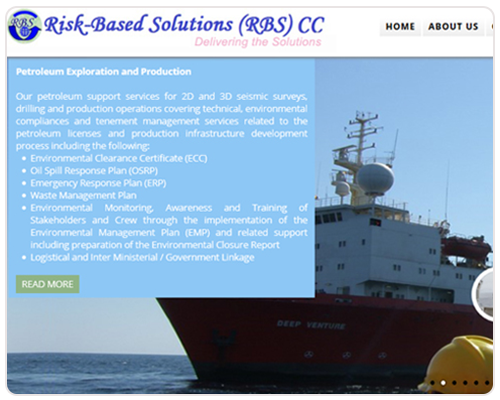 The below companies are some of our clients that we have built websites for over the years. 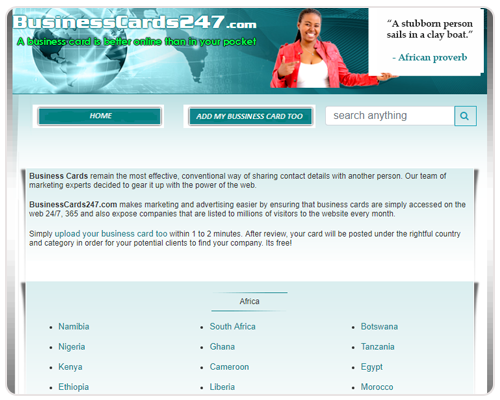 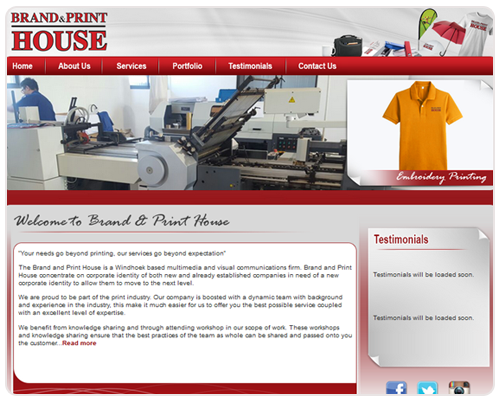 Business Cards 247 makes business and marketing easier by ensuring that business cards are accessed on the web. 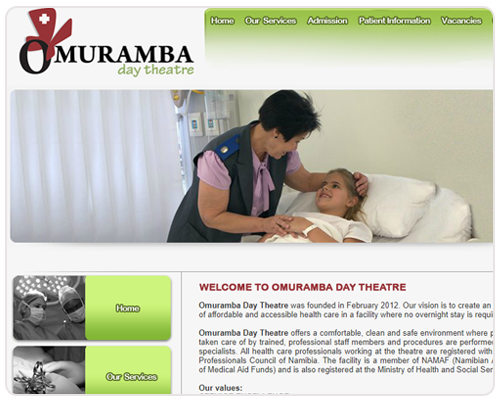 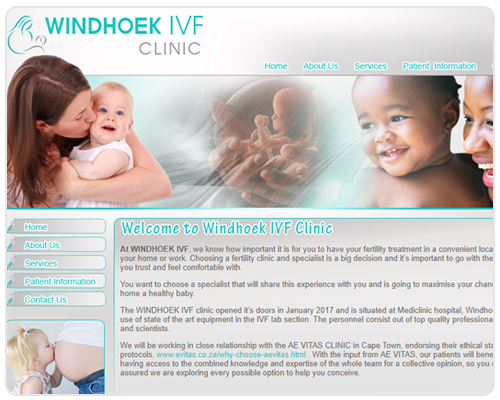 Windhoek IVF Clinic started as an idea by Prof Igno Siebert and Dr Riaan van der Colf a few years ago. 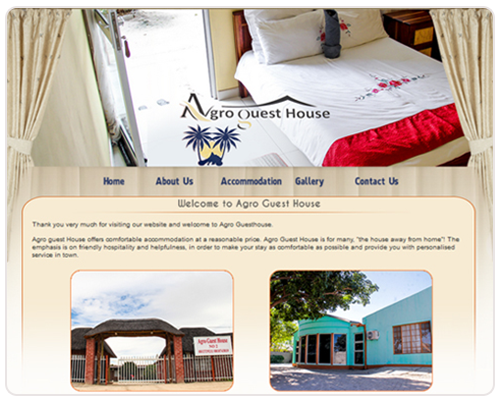 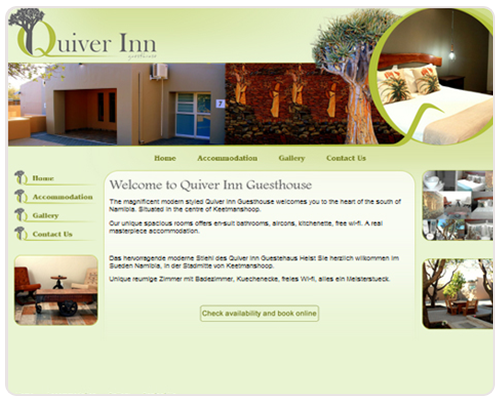 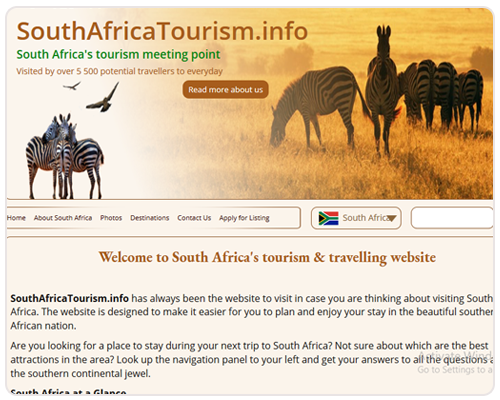 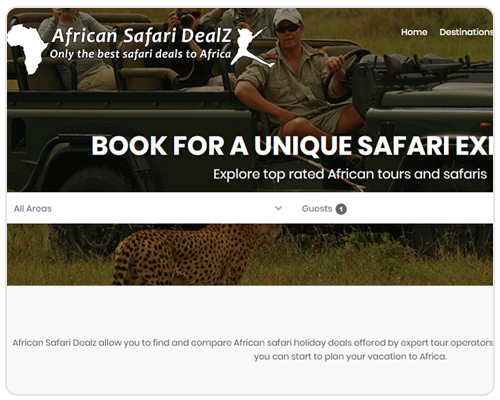 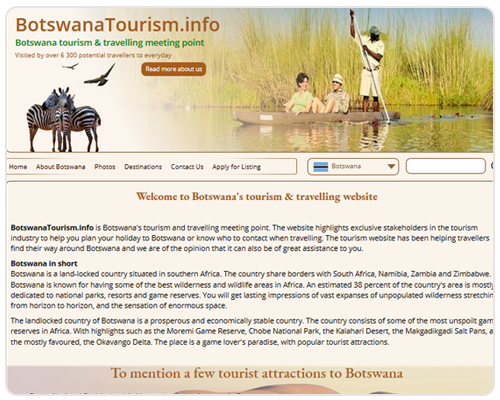 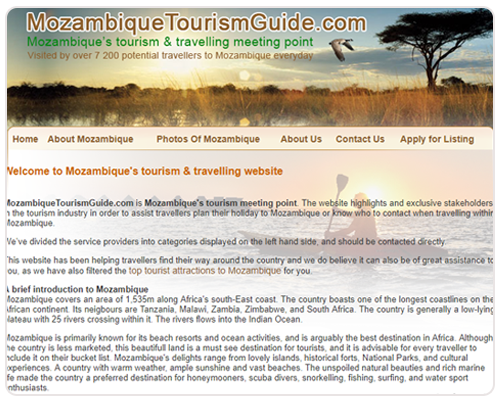 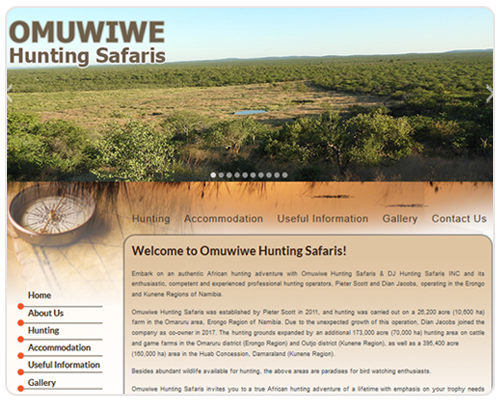 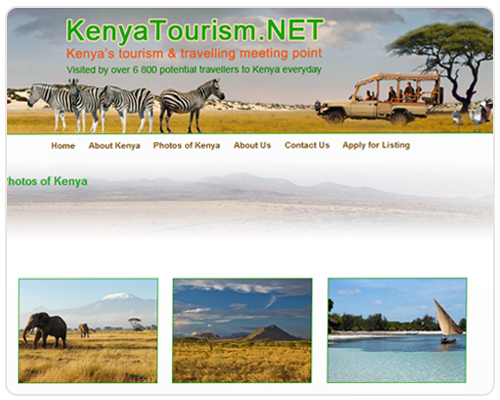 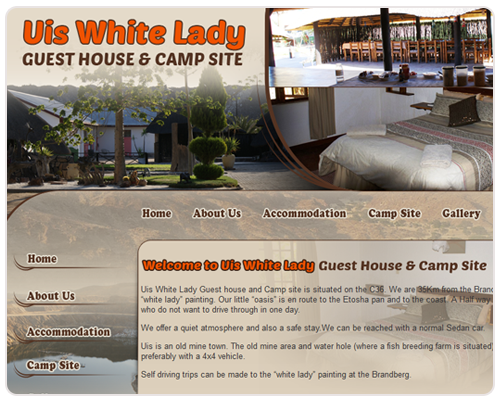 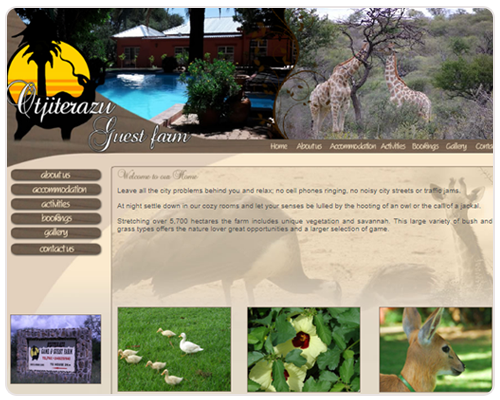 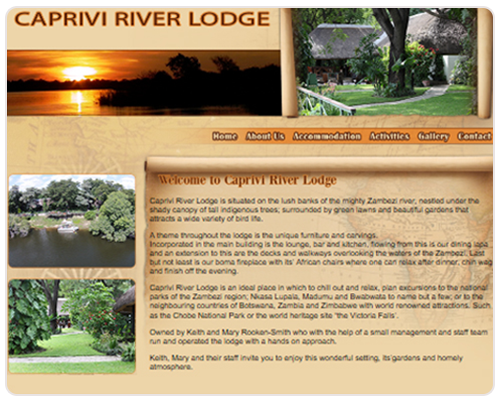 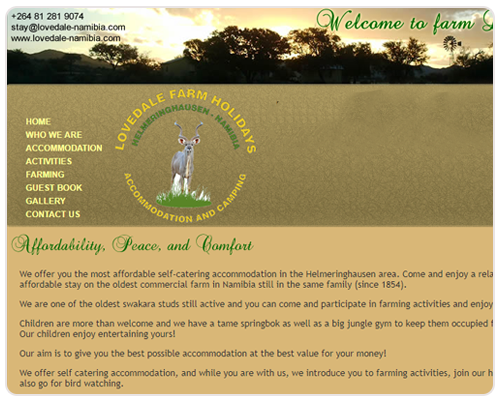 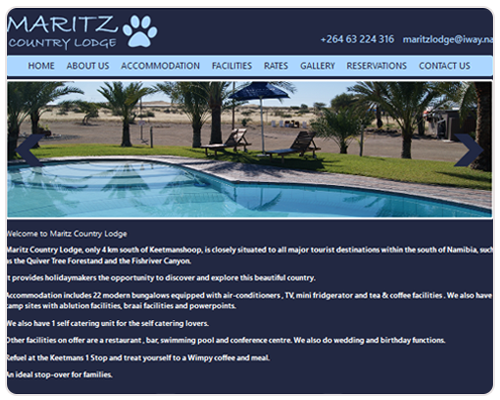 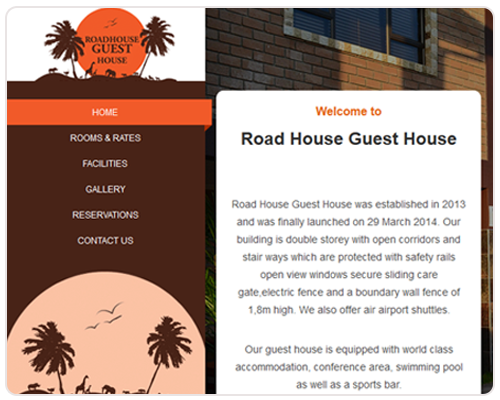 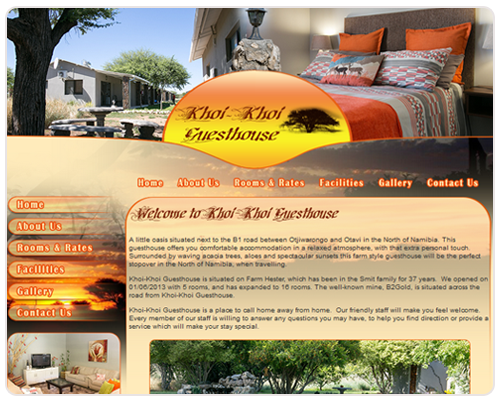 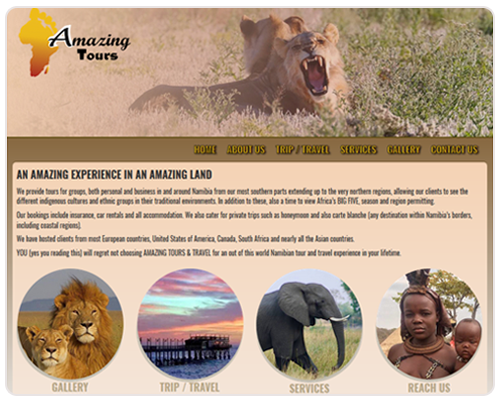 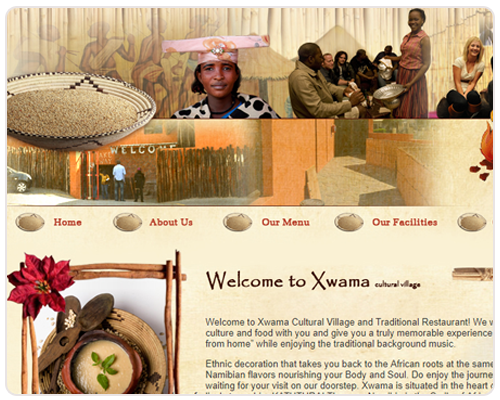 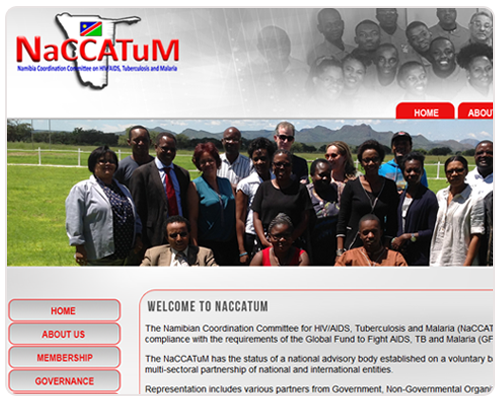 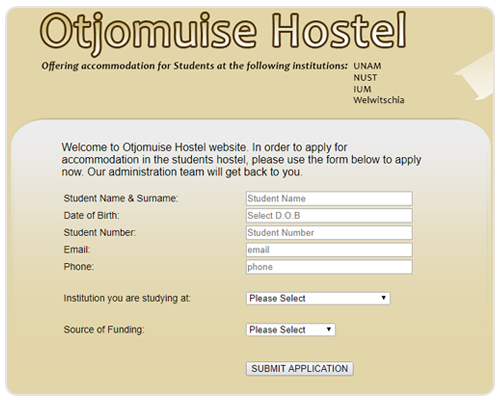 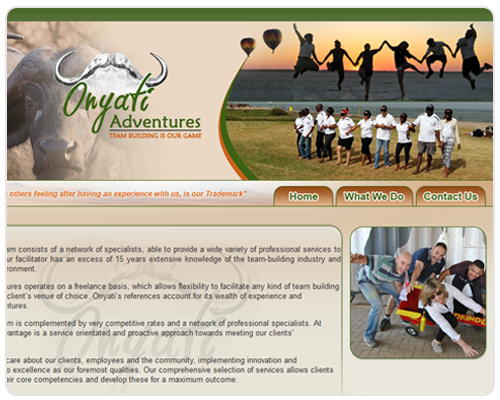 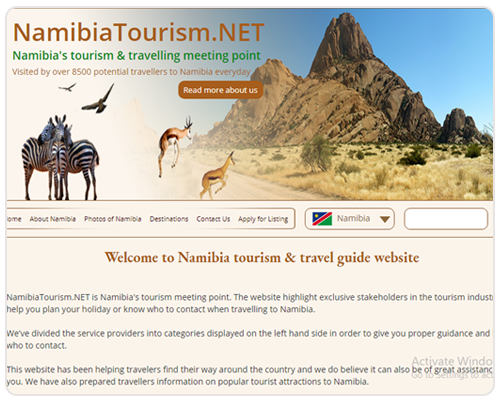 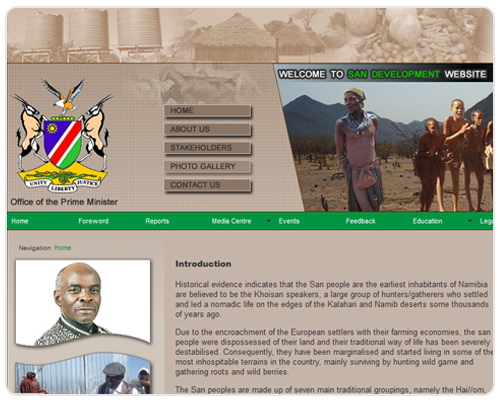 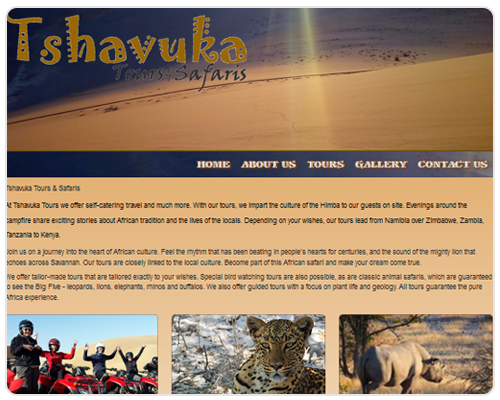 SouthAfricaTourism.info has always been the website to visit in case you are thinking about visiting South Africa. 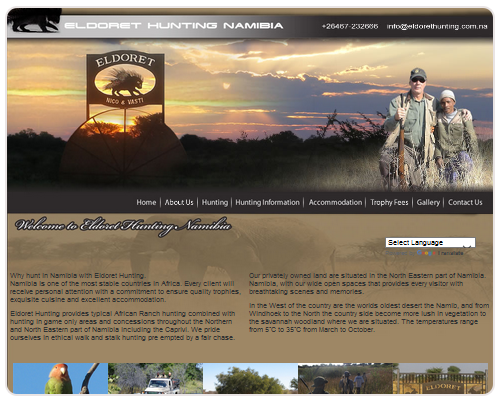 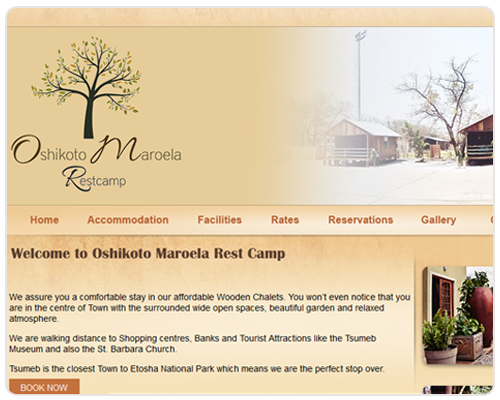 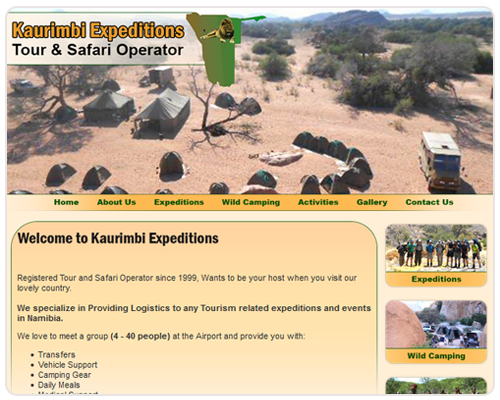 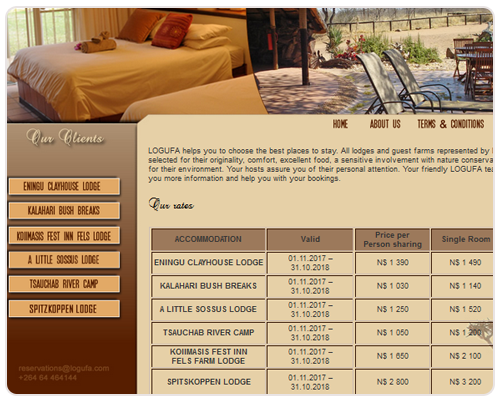 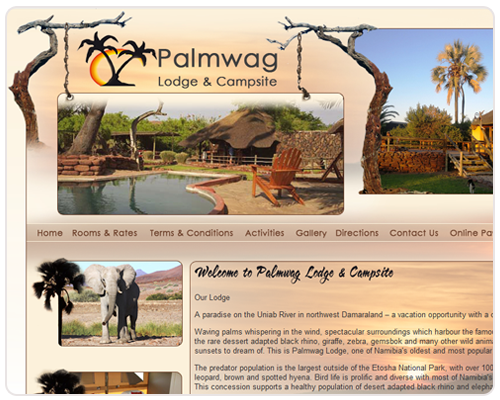 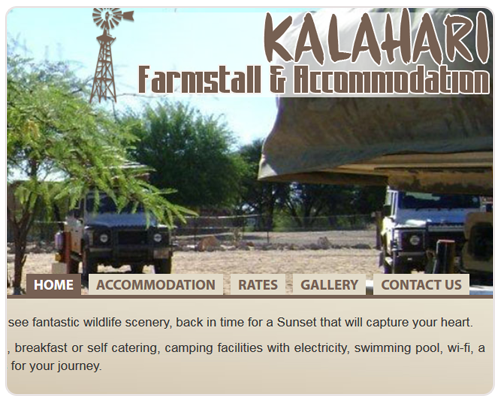 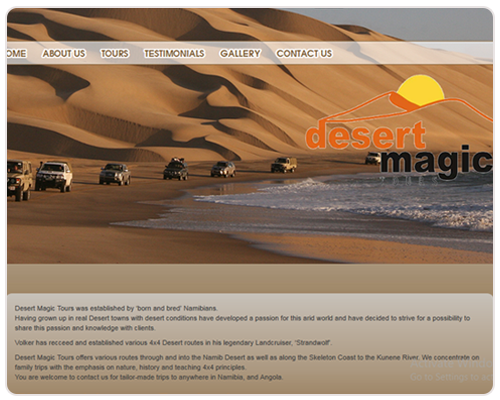 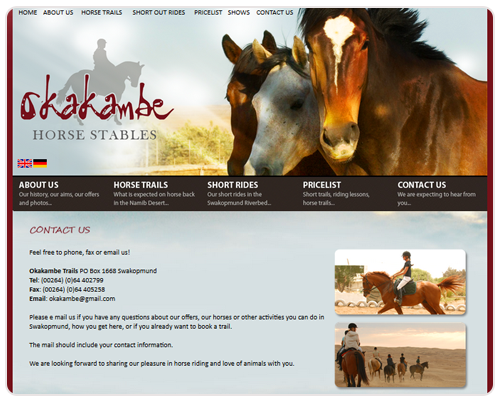 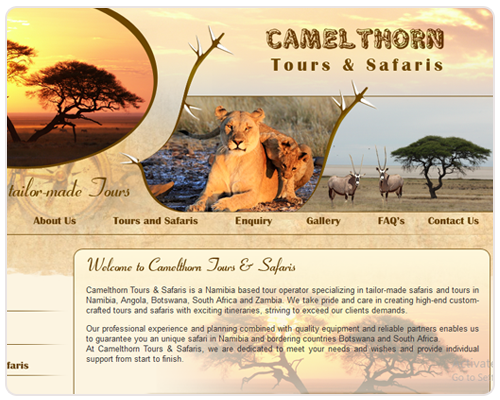 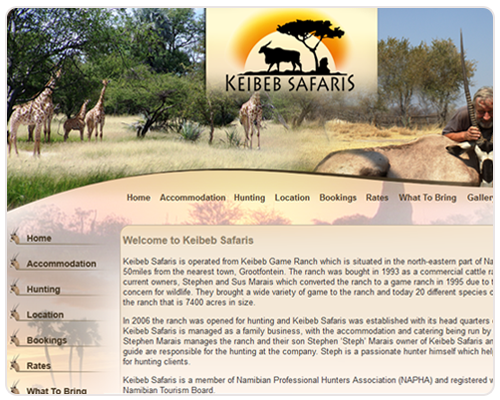 Camelthorn specialize in tailor-made safaris and tours in Namibia, Angola, Botswana, South Africa and Zambia. 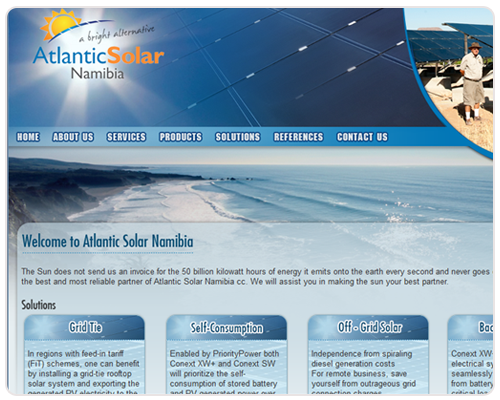 Atlantic Solar Namibia specializes in the design and realization of yield strong photovoltaic systems. 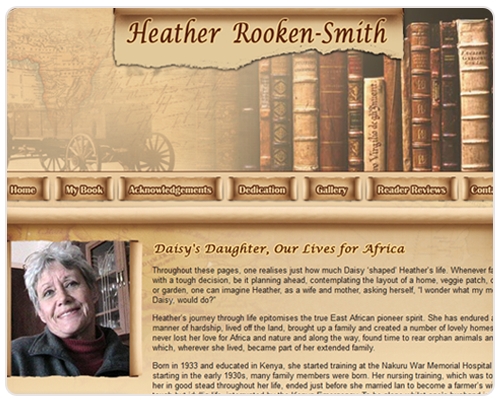 Heather covers the good, the bad and the ugly that one finds in Africa. 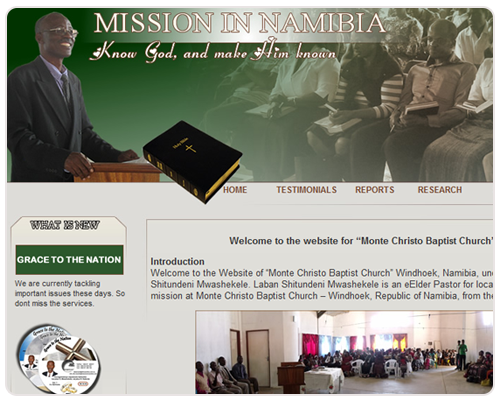 It is the best ‘book of life’ to be written. 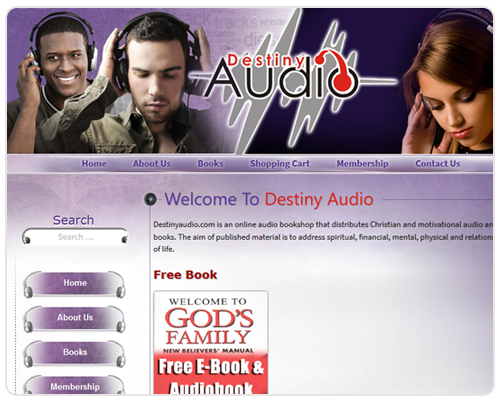 Destiny Audio is an online audio bookshop that distributes Christian and motivational audio and electronic books. 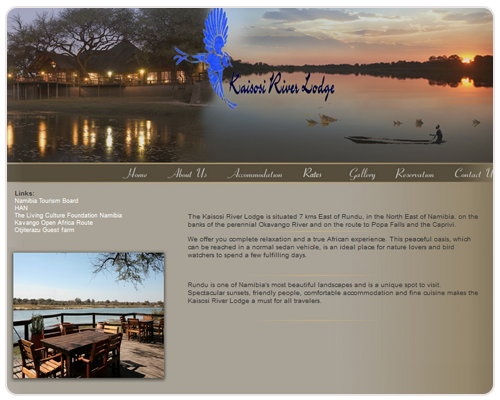 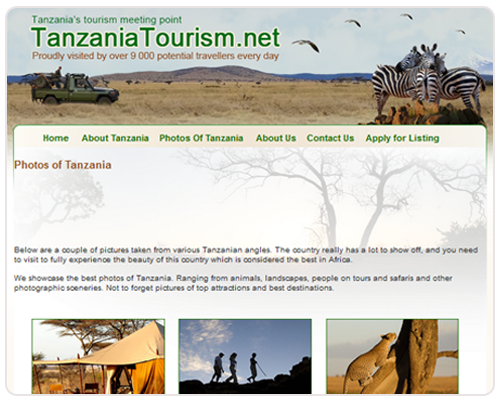 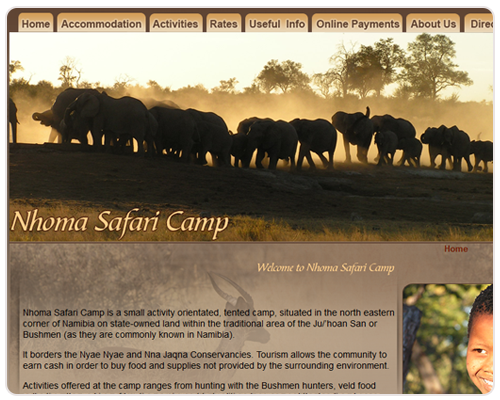 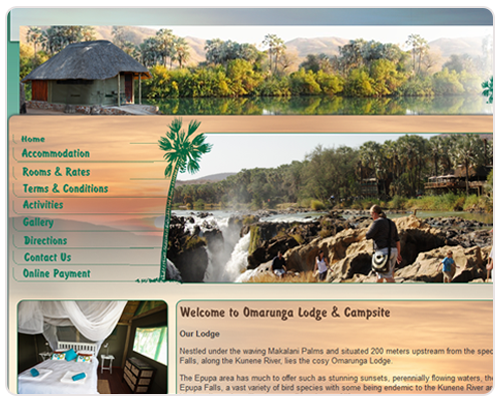 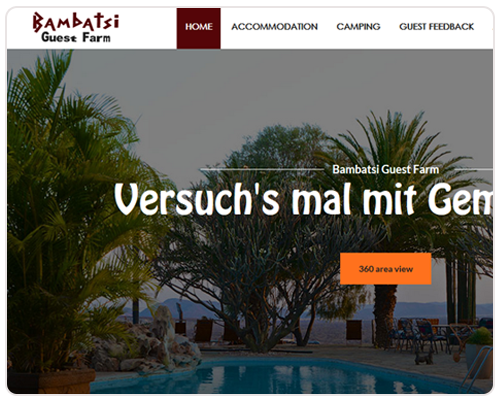 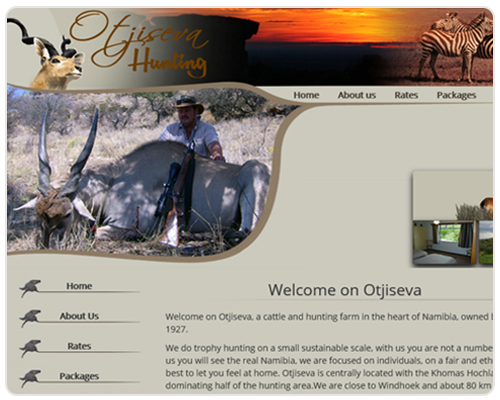 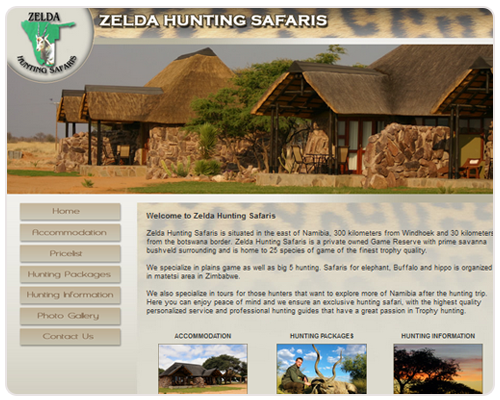 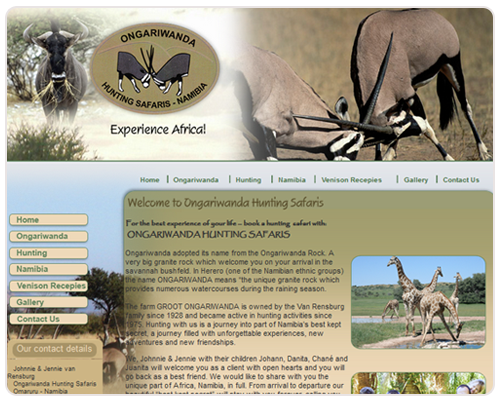 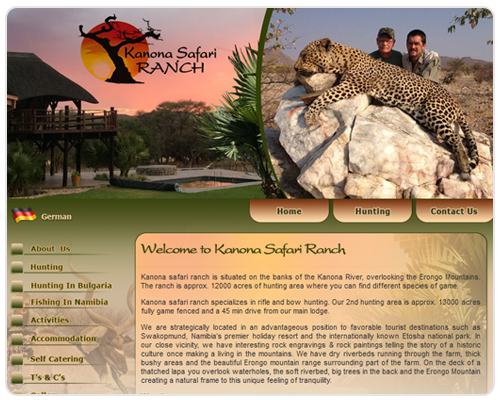 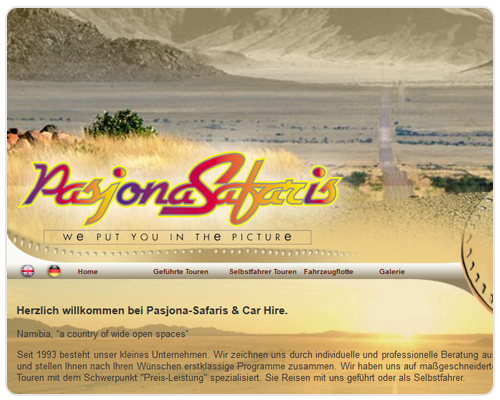 Pasjona Safaris, is a consulting and booking office for Tours & Safaris through Southern Africa since 1993. 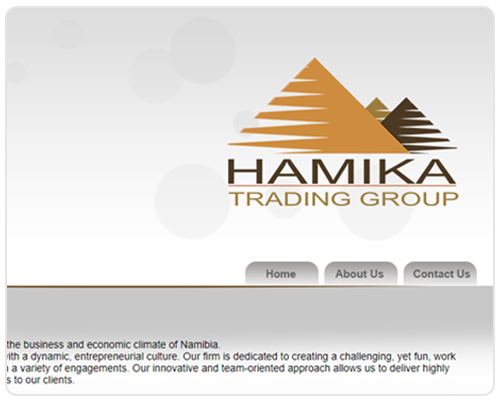 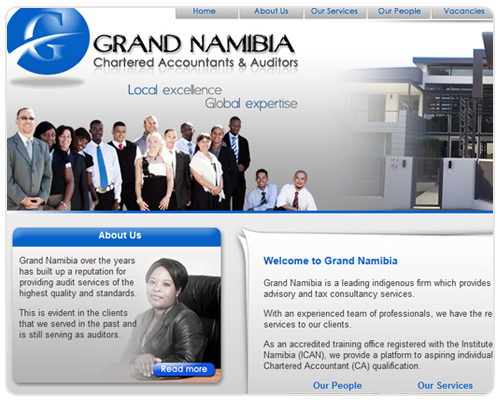 Grand Namibia is a leading black firm which provides accounting, auditing, business advisory and tax consultancy services. 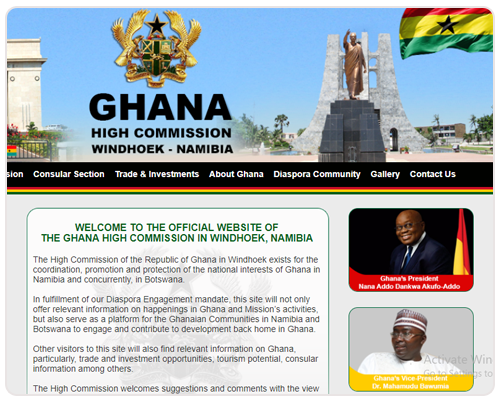 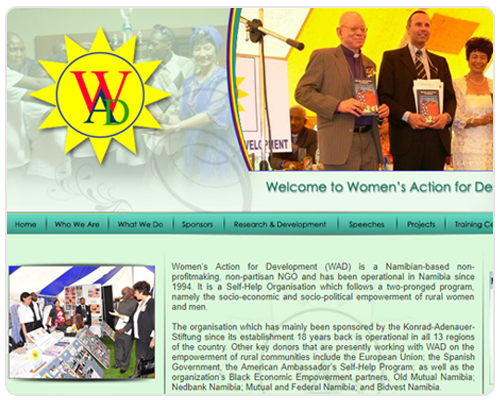 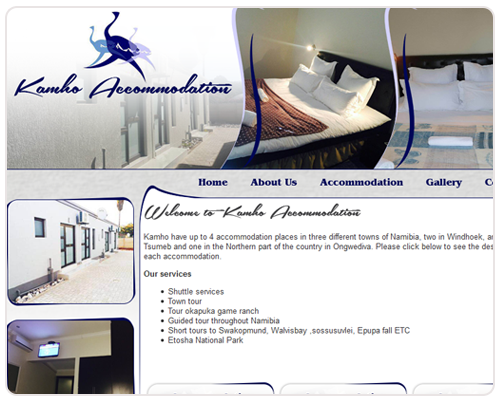 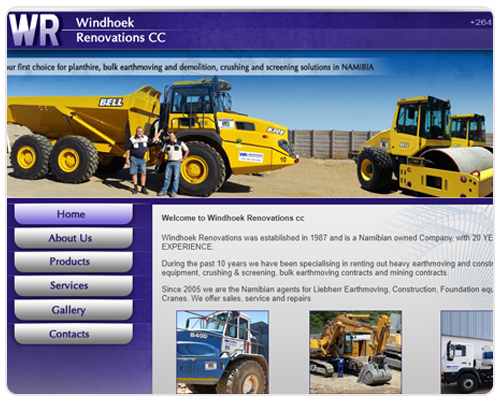 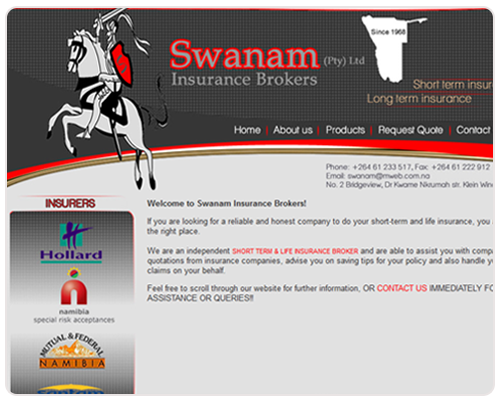 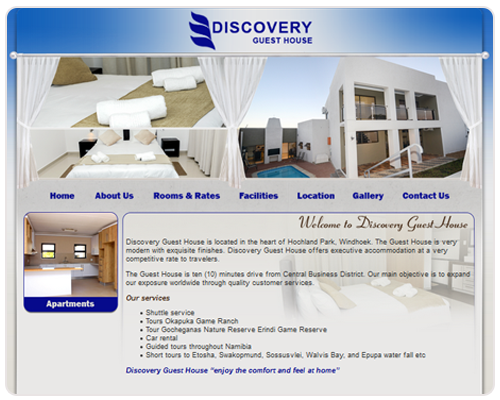 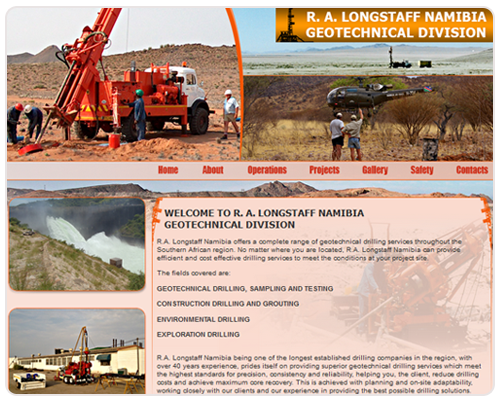 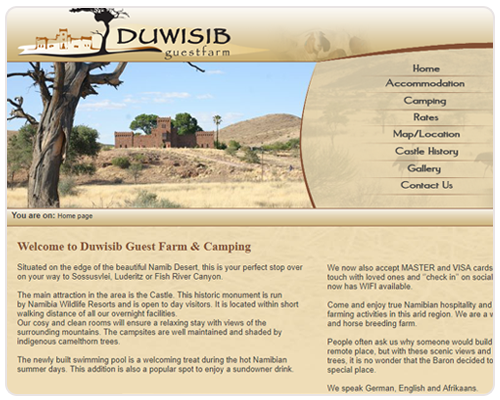 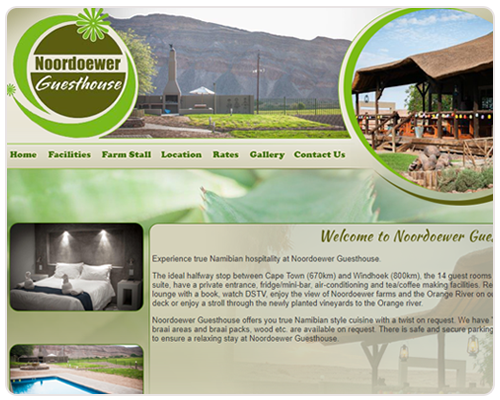 Windhoek Renovations was established in 1987 and is a sole owned Namibian Company, with 20 years experience.